Neurone. 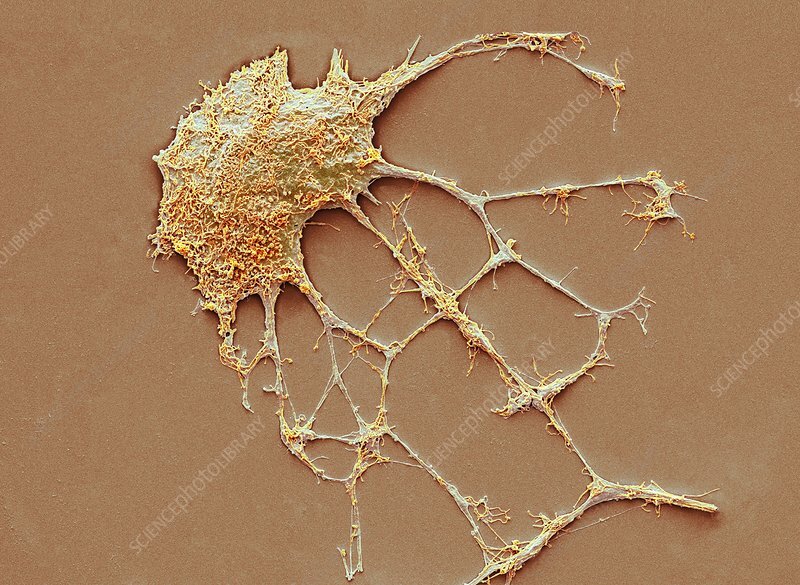 Scanning electron micrograph (SEM) of a PC12 neurone in culture.The PC12 cell line, developed from a pheochromocytoma tumor of the rat adrenal medulla, has become a premiere model for the study of neuronal differentiation. When treated in culture with nerve growth factor, PC12 cells stop dividing, elaborate processes, become electrically excitable, and will make synapses with appropriate muscle cells in culture. Magnification: x1500 when printed 10 centimetres wide.